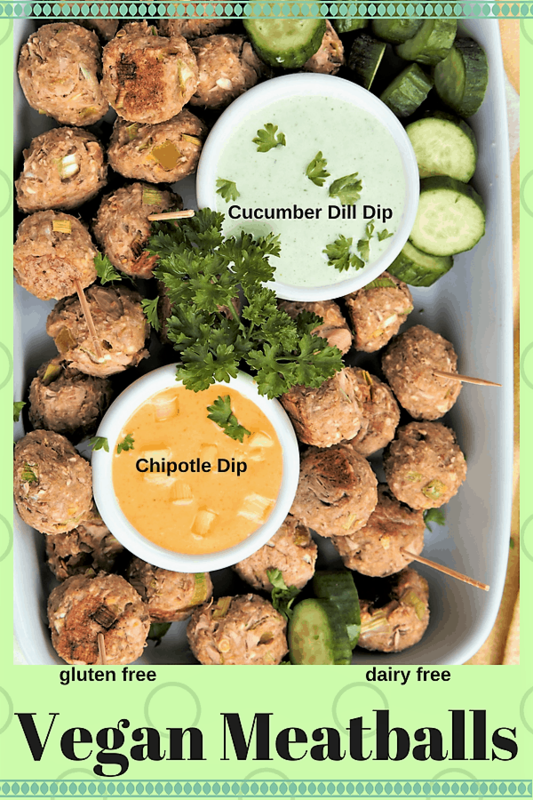 Vegan Meatball Appetizers With Cucumber Dill Dip are the perfect choice when you need a great tasting, easy to make and yummy snack. 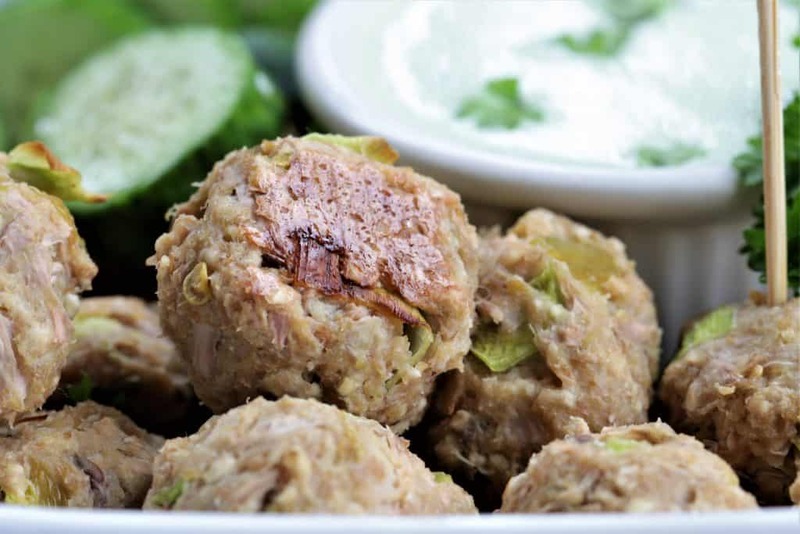 With jackfruit as the base, these balls have the exact texture of meat, and are chewy and filling. Add a little smoked paprika and green chiles, and you have kicked the flavor up a notch! 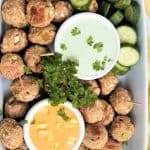 Yes, in less than an hour, these vegan meatballs are ready to dip into the light and fresh Cucumber Dill Dip or your favorite sauce or dressing. Vegan, gluten free, dairy free. The perfect light and fresh appetizer for any occasion. Preheat oven to 375. Add all ingredients to food processor and pulse until mixed well, but not pulverized. 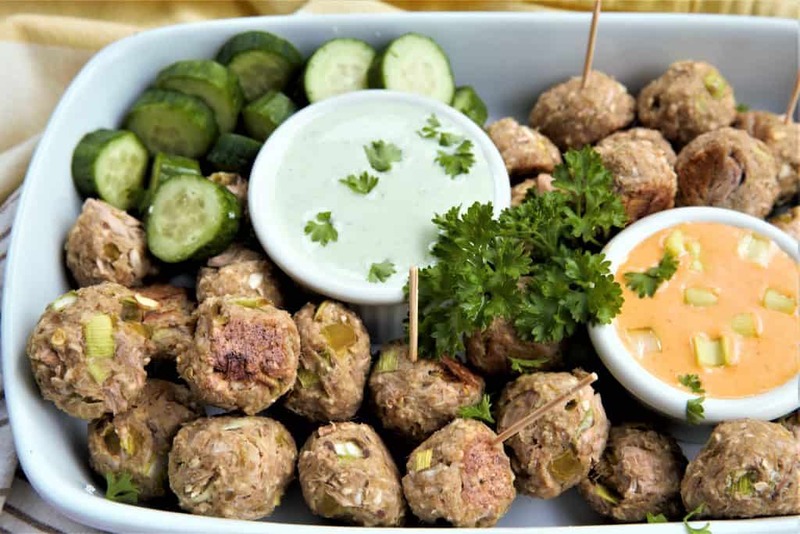 Roll meatballs, approximately 1 inch or 1 tsp in size. 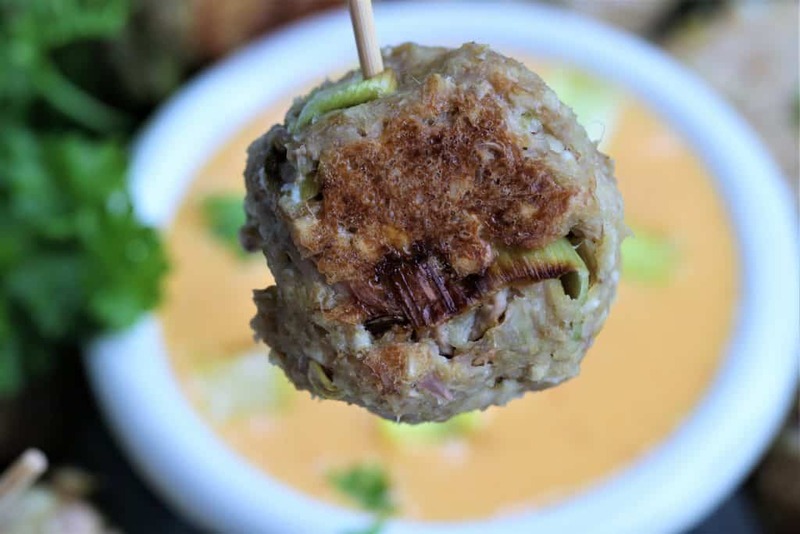 Makes approximately 30 meatballs. 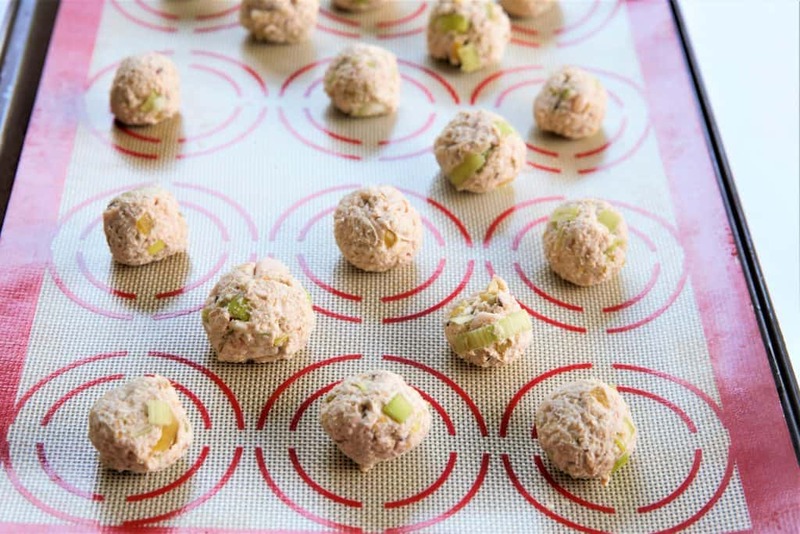 Place meatballs on baking sheet with silicon or parchment paper. Add all ingredients except dill to small blender. Blend until smooth. Add dill and pulse for a few seconds, leaving some dill pieces visible. 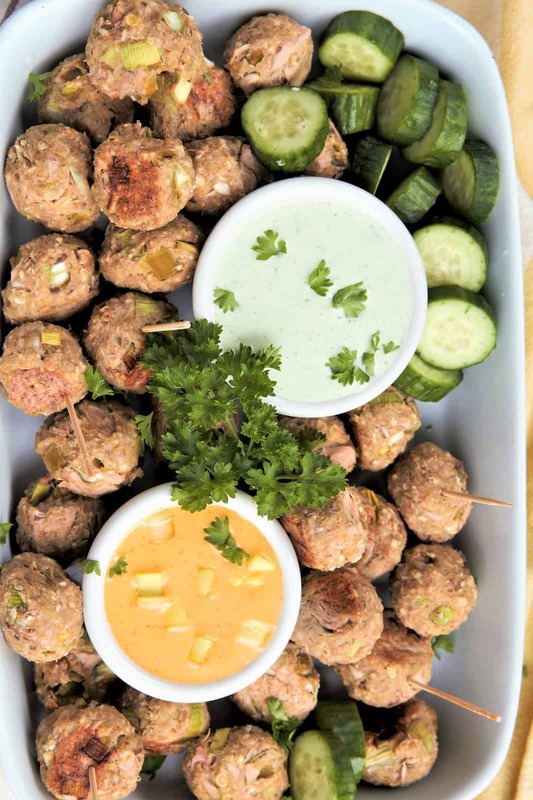 Serve with meatballs and garnish with dill and parsley. Also pictured: Chipotle Cashew Dip which can be found here.